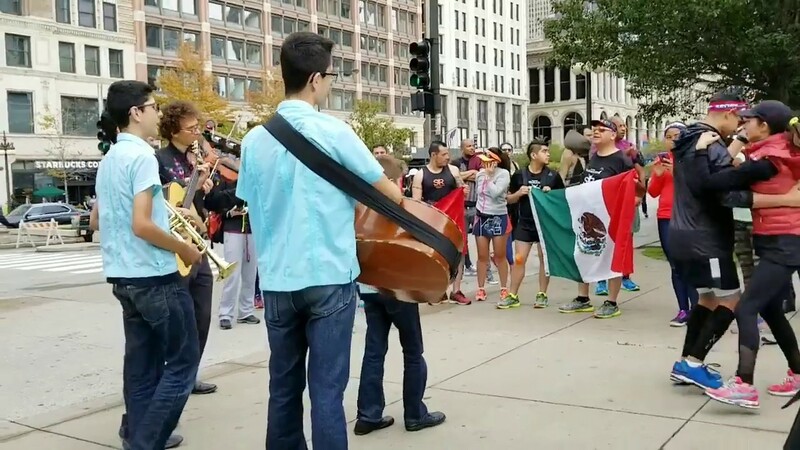 As seen on WGN, Univision, & Chicago Tonight, Cielito Lindo is a modern Latino mariachi formed by the Lucero family of 9. 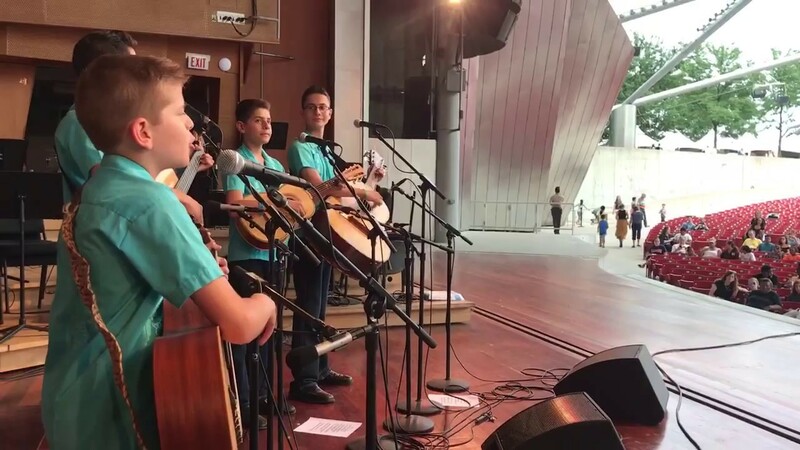 The children (10 to 16) perform for numerous events including weddings, quinceañeras and serenatas throughout the Midwest. 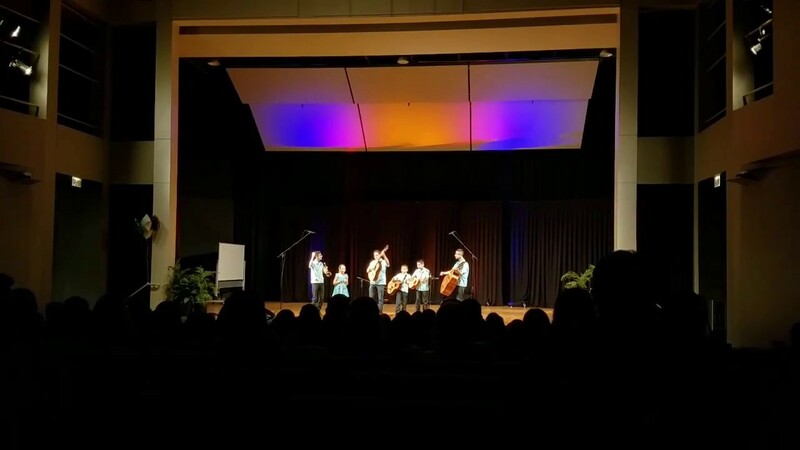 With a fresh look & youthful energy, the family performs the traditional music of Mexico and is passionate about inspiring families to enjoy music, culture and creativity together. 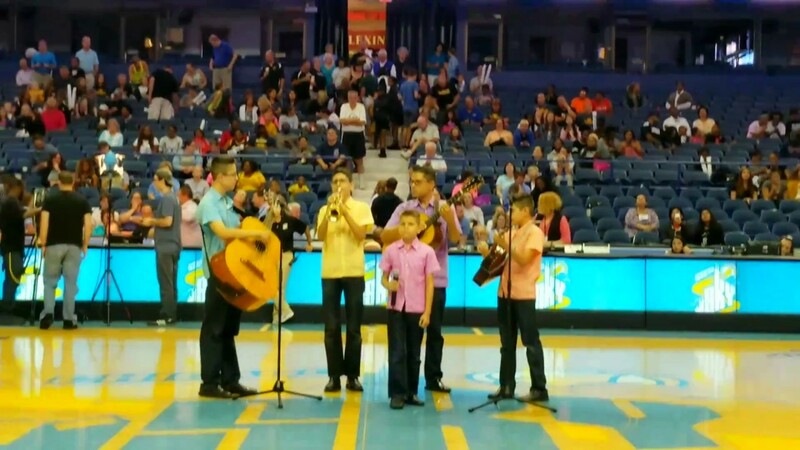 Since moving to Chicago, the Lucero family has had the thrill of performing for large audiences at Bulls games, Millennium Park, the Art Institute of Chicago, and various television programs. Look for public performances by Cielito Lindo @ festivals, museums, & libraries. This was the best choice for Valentine's day! The songs were customized for my girlfriend and helped make the day special. Highly recommended! fantastic family and incredibly talented. Accomodating and personalized music experience. The seniors loved the performance!!! Great group, will be booking in the future! Yay! We enjoyed them as well. Had Cielito Lindo at our company Christmas party in January. They were awesome and totally professional. The staff at Bricks Pizza thanks you!! Cielito Lindo performed beautifully at this year's Bucktown Arts Fest! They arrived on time (ahead of schedule), checked in, and were ready to complete sound check before their performance. The family is easy going and is interactive with the crowd! Such a delight to have them in performance and to introduce their sound to new audiences across Chicago! Thanks so much! Cielito Lindo exceeded our expectations. From the moment we contacted them, they were very professional and accommodating. The children were very entertaining and engaged the audience. Also, very punctual. Our guests were thrilled with the performance and are still talking about it. You have a wonderful family, Gricelda. It was a pleasure to perform for your parents 50th anniversary. I cannot recommend Cielito Lindo enough for any special occasion. I proposed to my now fiancé last week and was lucky enough to find Cielito Lindo for the proposal. They have a great list of songs and they are all very talented. They worked with me the throughout the whole process and their prices are very fair. I did not know what to expect but we were not disappointed. Thank you for making our engagement very special. I hired them to perform for the residents of a retirement community and they were great! We had Cielito Lindo at our wedding and they were just simply fantastic, will recommend them to everyone I meet. I love them! They made my wedding much more special. My parents loved them. My guests want to hire them. I will hire them again. Awesome talent. Thank you! We had Cielito Lindo perform at my parents anniversary in a restaurant. They were on time, professional- but more than that- their talent was amazing. The voices- harmony, and the genuine passion for music was an incredible thing to watch! We felt lucky to have them perform- they truly made the occasion a memorable one for all of us. Thank you, Maria! You have a wonderful family. We hope to get to know them better and perform for them again in the near future. We had Cielito Lindo perform at my wife's 40th birthday surprise party, which was held in a restaurant in downtown Chicago. Juan and his boys were awesome performers. They showed up early to tune up, then texted me when ready. I escorted them to the party room and they started with Las Mananitas. They sang about 5 or 6 songs. Everyone at the party commented on how great they were. They were especially impressed with how well the boys play their instruments and sing. The youngest one can really belt out the tunes! I had one of our guests ask me for Juan's contact so he could hire him for another party. The waitstaff for our party room stopped working and started filming the band perform because they were impressed. The best part was they are very unique. I did not want just the typical mariachi band, so I was really happy to find Cielito Lindo. Juan worked with me to select the songs, and was very professional throughout the process leading up to the night of their performance. I could not be happier with how it all went. My brother and his wife as well as my confidant in Park Forest thrilled at the voices of Cielitos Lindos! The strong voices of each one really sounded grand within the confines of the home of my friends. Cielitos treated my brother and his wife each to their own birthday dedication song. I am most pleased with their performance and wish I could have been there! Thank you very much! I just wanted to thank Juan for making my dad's birthday special. I procrastinated as I usually do, and he was able to surprise my dad at his workplace with a serenata on a day's notice. My dad loved it! I only wish that I could have been there! We had a party for my Dad's 70th birthday and Cielito Lindo was the perfect entertainment choice! They had us dancing, singing, and laughing. They are such a talented family...those boys can sing! I would book them again in a heart beat! After trying to hire a mariachi band for my partner's 40th birthday for a month with no luck, I found Gig Salad and Cielito Lindo and I'm so glad I did. Booking was so easy and Juan was very responsive. I cannot even put into words how happy we were with their performance. Not only were they professional but they are also immensely talented. Several of our guests asked about them and have already spread the word through social media. I feel like I want to hire them for every event I have moving forward. The birthday girl was so happy. We really couldn't have asked for a better experience. Thank you! My guests and I love this musical family group. Awesome music that made my Frida and Diego Retirement theme party perfect. They are original, professional and very reasonable. I couldn't ask for anything more in making our night. I would re-hire them, without reservation, for any event. My only regret is they moved to my home town to Chicago. Its your big gain Chicago!!! Go for it, you will not have any regrets. My guests after several months still talk about my party due to this group and their uniqueness. Kudos to their parents for producing such wonderful and talented kids. This beautiful bi-lingual singing family brings entertainment, culture and humor to every performance. Cielito Lindo became famous in New Mexico for strong voices, traditional and original music and expertly playing guitars almost larger than their growing bodies. On stage and backstage, the performers are poised, welcoming, reliable, flexible and generous of spirit. They are a - wow- group for adult and children audiences in a multitude of settings. They have my highest recommendation. Cielito Lindo is a bilingual family music group that perform a variety of Mexican and American folk music. The 5 members, 4 brothers & their father, come from a happy family of 9. 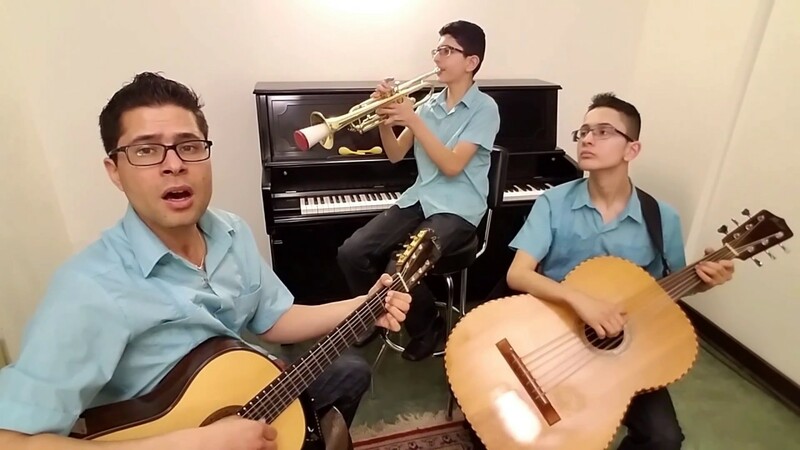 The boys (ages 10 to 14) each sing & play multiple instruments including guitar, vihuela, guitarron, & trumpet. Their repertoire includes bolero, ranchera, cumbia, huagpango & son. As 4th generation musicians, they have grown up with music their entire life & have been performing since they were 5 years old. In order to perform our best, we ask for water and shelter from any harsh weather conditions such as sun, rain, heat and cold. We most often perform all acoustic and require no amplification.